Figure 1. General workflow: (1) Addition of beads (grey); (2) specific binding occurs with desired analyte (green); (3) Capture analyte-bound beads with magnet; (4) wash away crude sample components and elute analyte from beads. Add the binding buffer of choice to the sample and mix well to get a homogeneous suspension. Add beads. Mix beads by vortexing before adding them to the sample. Mix sample and incubate to enable the binding of bead and molecule of interest. The beads respond to a field in a magnetic separator allowing bound material to be rapidly and efficiently separated from the rest of the sample. Unbound material is simply removed by aspiration, and the bead-bound target washed by the use of the magnet. At least two wash steps are recommended. Different surface modifications and bead sizes allow for choosing the optimal product for the right molecule to be coupled. Magnetic beads used in purification contain a magnetic core which is covered in different materials. They are typically either Ferrimagnetic, or superparamagnetic3(fig.2). Figure 2. Under the influence of a magnetic field paramagnetic materials are magnetized, but when the magnetic field is removed this magnetization goes to zero. On the contrary, ferromagnetic materials present a remanent magnetization (MR) in the absence of the magnetic field. Superparamagnetic materials share properties of ferromagnetism and paramagnetism. Ferrimagnetic magnetic cores are with over 30 nm relatively large with a strong magnetic moment. They retain this magnetic moment even after removal of the magnetic field. The strong magnetic field leads to a fast separation of the beads in the magnetic field. Possible downfalls are self-magnetism and unwanted attachment to metal surfaces. Superparamagnetic cores appear, depending on materials, in particles below 50 nm with a single magnetic domain. These single-domain magnets align all their magnetic moments in the same direction, so that when an external magnetic field is applied the resulting magnetization is the largest possible for that specific material and size. Here comes the superparamagnetic behaviour, which shares with ferromagnetism the high levels of magnetization reached under the influence of a low magnetic field and with paramagnetism the absence of magnetization when the external magnetic field is removed. The absence enhances the effectiveness of the magnetic separation of cells or biomolecules 1. We offer magnetic beads in different size, which has an impact on handling and purification results. Small beads (1-10 µm) : Our supplier magtivio provides beads in three sizes, 600 nm, 1 µm and 3 µm. Advantage are high surface areas available for purification, but a smaller magnetic field, which can negatively influence separation, especially from viscous solutions. In comparison the 600 nm MagSi beads sediment 4x slower than 1.0 µm beads. This allows longer incubation times without shaking, and may be important in automated and other high-throughput applications in which shaking options are often missing. MagSi beads with a diameter of 3 µm have stronger magnetic properties and will separate approximately 4x faster than 600 nm beads under same conditions. Medium beads (20-40 µm) : Provide efficient separation and large surface area. When combined with agarose surfaces, binding capacities can be in the same range as for small polyvinyl beads. Cube Biotech offers MagBeads in the Size of 25 µm; they are used for purification and specific binding of proteins with different tags like GST or Rho1D4. Large beads (70-120 µm) : have advantages for special applications, e.g. when purification methods contain both magnetic separation and filtration. When combined with agarose surfaces, binding capacities are still high. An Example are the Protein A/G Magnetic Beads or Protein L Magnetic Beads by Biovision. They come in a size of 112 µm and are specialized for immunoprecipitation and enrichment of IgG antibodies. The magnetic core can be covered in a range of different materials, providing different properties. Agarose forms a three-dimensional hydrophilic mesh out of linear sugar polymers with neutral charge. The Polymer is chemically crosslinked to provide thermal and mechanical stability (see Sepharose). Similar to non-magnetic agarose, it is very well suited to bind to proteins, e.g. via affinity ligands (Tab.1). 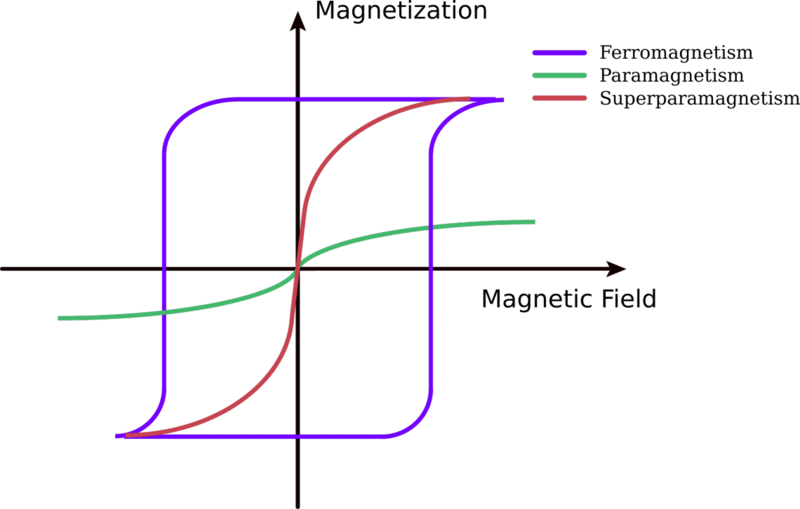 The large interacting surface leads to high binding capacities. The neutral surface reduces non-specific binding. Cube Biotech and Biovision use this kind of surface in the majority of their products. Silica beads are most widely used for nucleic acid purification. They become negatively charged at pH >3, and sometimes show unspecific binding in protein purification. magtivio usually works with this surface. Carboxyl Couples most proteins Amine groups; Lysin Histidin etc. Epoxy Useful for enzymes Lysin, Histidin, Tyrosine, etc. C4-Alkyl Larger biomolecules like proteins Cell lysates, culture supernatant (e.g. secreted proteins). If u have any further questions concerning beads and their usage feel free to contact our customer support, either via phone live-chat or mail. They will gladly assist you in the right product choice you need.